Many parts of the U.S. are covered in snow and ice right now. Schools, tablets roads and many businesses are closed. It’s a snow day! After you venture out and explore the winter wonderland that is your neighborhood, help play a little in the snow and start to find movies to watch today, tablets why not add a special desert to the mix. 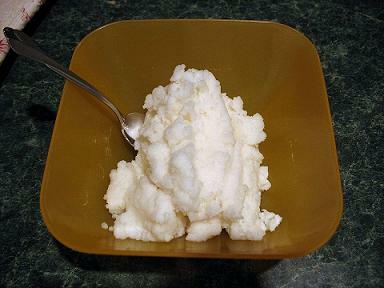 Have you ever made snow cream? 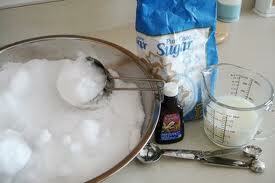 We grew up making it whenever there was a heavy snow. It’s simple to make (great for the kids to help with) and smoother than almost any ice cream you’ve ever had. If you like ice cream, you’ll love this. Set out all of the ingredients except snow. Take a large bowl and gather about 1 gallon of snow. 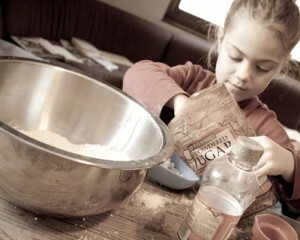 Add the sugar and vanilla. Then add milk until the mixture reaches the desired consistency. Serve it at once. You can add chocolate syrup, chocolate chips, raisins or fresh fruit for something extra. Let us know what you think and if you have any other favorite treats to make when snowed in.